Long Scar Pike, also called Coalpit Hill, is the highest point of Crosby Ravensworth Fell and is situated just above the Shap summit of the M6. Once of Westmorland the hill now sits in Cumbria but was also absorbed in to the Yorkshire Dales National Park when the latter was expanded in August 2016. Unusually the name does not appear on either the Explorer or Landranger series of maps. Instead it can only be seen by drilling down to the 1:2500 scale on online Ordnance Survey mapping. 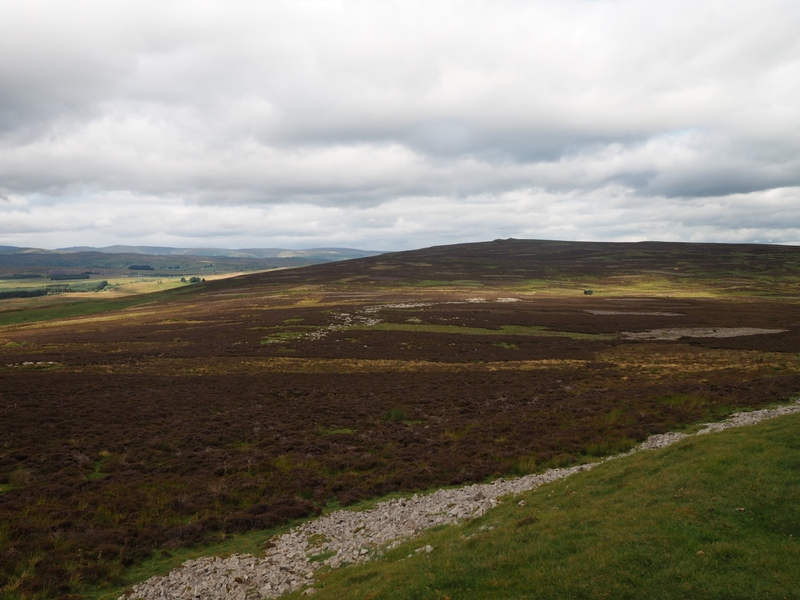 There is a limestone scar immediately to the west of the trig point and the summit, consisting of two prominent grassy bumps, is ‘Pike’ like so I guess the name is apt. As mentioned above the summit features two grassy bumps, the westernmost of the two is topped with the Ravensworth Fell trig point. Immediately to the east the other bump is marked by a large circular cairn, according to the map this is of ancient origin. 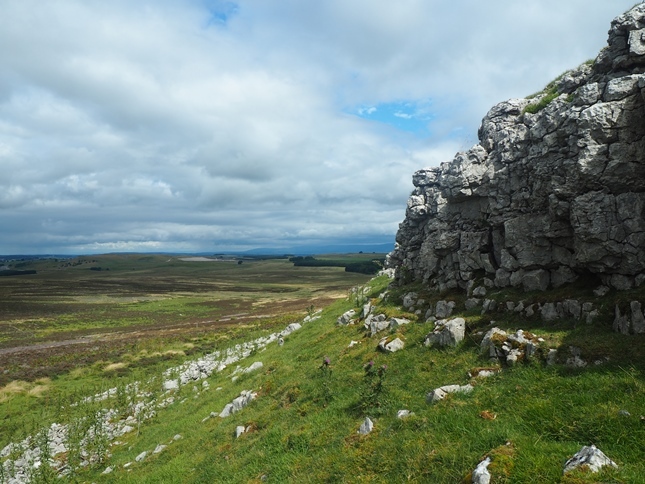 The Database of British Hills lists a limestone outcrop 2m WNW of the cairn as being the highest part of the fell, a whole 19cm higher than the ground next to the trig point. 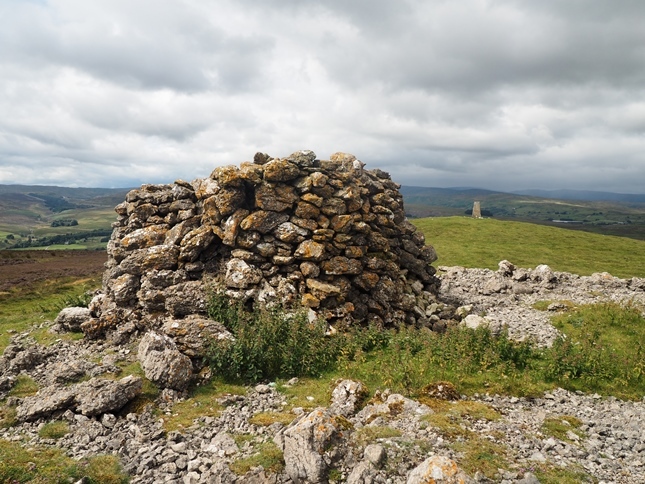 The 360 degree panorama from both the cairn and the trig point is superb and includes the Howgill Fells, Shap Fells, Far Eastern Fells, the Cross Fell range and the fells above Mallerstang. 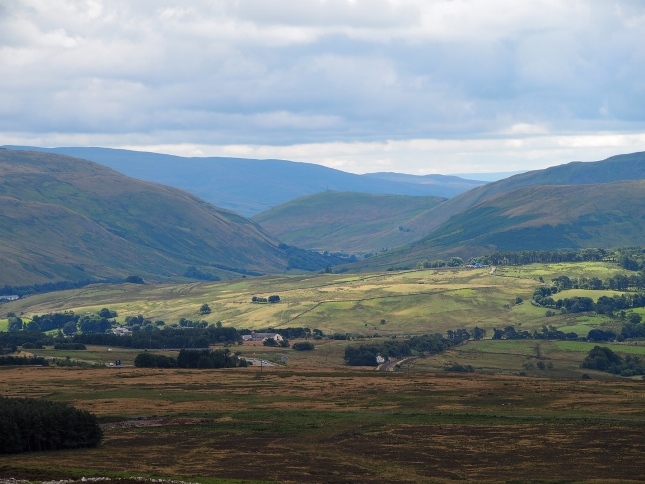 On my first visit to the hill, just two days before it was incorporated into the national park, my friend Paul and I could even make out some of the hills of southern Scotland. 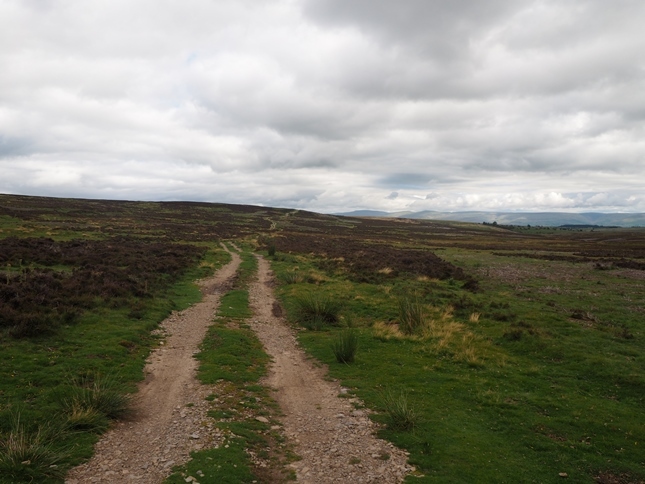 While there are no paths as such leading to the summit there are bridleways from Oddendale and Crosby Ravensworth that get close enough to make visiting Long Scar Pike fairly easy. For a brief stretch the bridleway from Oddendale follows the line of Wicker Street, an old Roman road that once connected Kirkby Thore and Low Borrowbridge. 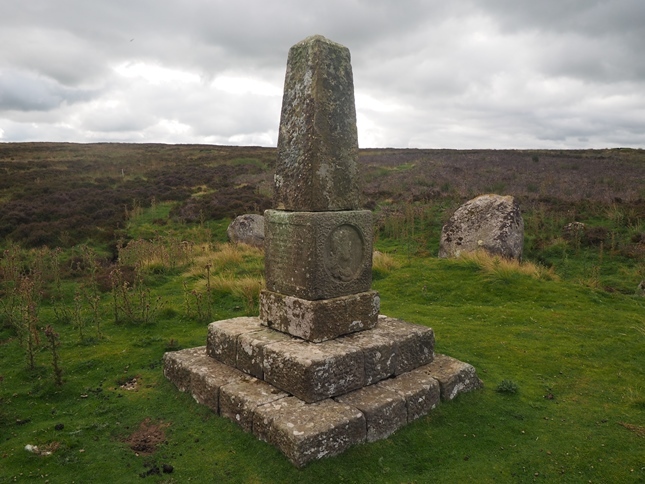 The Crosby Ravensworth Fell area in fact contains a number of interesting historical features. Near the Roman road is the Black Dub monument. This records a stopping place of King Charles II and his invading army from Scotland in 1651. A number of bields and ancient cairns are dotted about and on White Hags there is a stone circle made up of granite boulders. The presence of granite is another of the fell’s points of interest. Although the main underlying rock is limestone the area is also notable for a number of erratic granite boulders. In a couple of places in the Orton Fells these granite erratics are called thunder stones, including one to the south of Bousfield Howe. 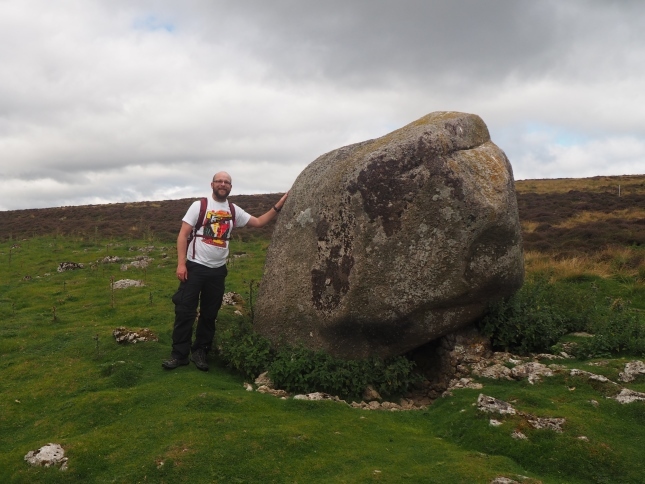 The most impressive boulder is the one to the north of the Black Dub monument which sits on a heavily crushed plinth of limestone.